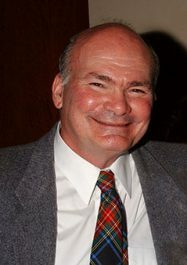 Bob Birchard (1950-2016). Photo by Roger Karnbad. 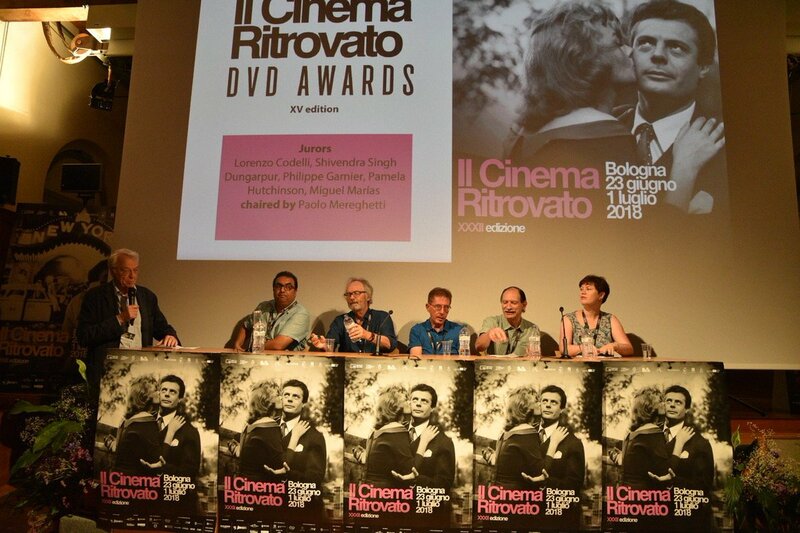 Flicker Alley would like to honor the memory of film historian and friend, Robert S. “Bob” Birchard, who passed away a little over a year ago on May 30, 2016. In his remembrance, we present excerpts from an interview Bob conducted in 1971 with Irvin Willat, director of Behind the Door (1919), while Bob was still a college student. In 2000, Bob published a transcript of his recorded interview, called “Conversations with Irvin V. Willat,” in Film History, Vol. 12, No. 1. During the course of Bob’s nearly 20-page conversation with Willat, they discussed Behind the Door, its star Hobart Bosworth, and its producer Thomas Ince. We present Bob’s introduction in full, followed by the excerpt of his conversation with Irvin Willat concerning Behind the Door. Our thanks go out to Paul Birchard, Bob’s brother, who graciously granted us permission to reprint this article, and to Stan Taffel. When I interviewed director Irvin V. Willat he was a forgotten figure. For all intents and purposes he had left the picture business in the late 1930s after years of inactivity punctuated with a final flurry of three low-budget quickies that did nothing to suggest he had had any talent as a filmmaker. Only two of his silent films were generally available for reappraisal. Back to God’s Country (1926) was a lack-luster northwoods melodrama Willat had taken over after Lynn Reynolds, the film’s original director, committed suicide during production. The Michigan Kid (1928), on the other hand, was a stylish and well executed picture with some extraordinary visual effects. I managed to make a print of Below the Surface (1920) for Willat from the rapidly decomposing original nitrate negative then in the hands of the UCLA Film Archive, and I arranged a screening of North of 36 (Famous Players-Lasky, 1924) for him. Again the evidence was mixed. Below the Surface was a fine film by any standard. North of 36, despite some interesting elements, was not much of a picture. Since that time, several other Willat films have surfaced. The False Faces (1918), his four independent productions Down Home (1920), The Face of the World, Partners of the Tide and Fifty Candles (all 1921), and what survives of Behind the Door (1919) all tip the scale in Willat’s favour. In fact Behind the Door is such a strong film that even missing a reel of footage and parts of its two most famous scenes the film still commands attention and it is easy to see why it was regarded as one of the best films produced in Hollywood during the silent era. 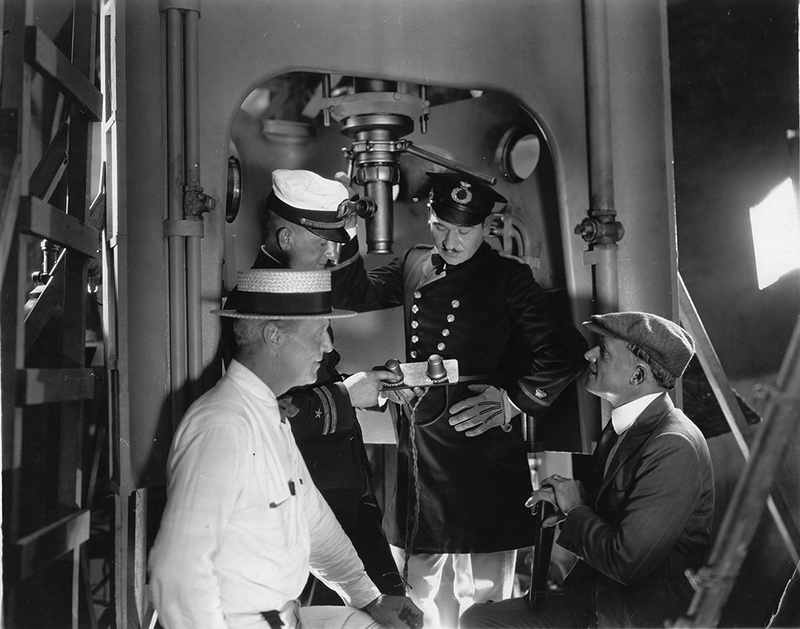 Left to right: actor Hobart Bosworth, technical director Captain John Cook, actor Wallace Beery, and director Irvin Willat on the set of Behind the Door. Photo courtesy: Marc Wanamaker, Bison Archives. Willat was not an easy man to get to know. He was gruff, demanding, and not shy about shouting his outrage at long smoldering injustices he perceived. But if you made the effort to get beyond the hard-boiled facade, Willat proved to be shy, self-doubting, sensitive and caring. It became easy to see why so many of his associates from the early days had remained loyal friends and often came to Willat for advice and help. An indication of Willat’s generous spirit can be gleaned from this interview – but only if one knows the rest of the story. He has nothing but kind words to say about Hobart Bosworth, for example, but he does not mention that after bringing Bosworth back to the forefront of picture players with Behind the Door and Below the Surface, the suddenly self-important actor had Willat fired from their third collaboration, His Own Law. Willat also has generous things to say about Howard Hughes, yet Hughes brought great hurt to Willat’s life. The director was married to Billie Dove. Hughes took a fancy to her. According to Willat, in a conversation he did not wish to be taped, Hughes offered Dove a five-picture contract at $50,000 a picture if she would ‘remove herself from all marital entanglements.’ Dove left Willat to take up Hughes’s offer on and off screen. Sometime afterwards on a Sunday afternoon, Hughes’s aide Noah Dietrich drove up to Willat’s house with a suitcase filled with $326,000.00. ‘I didn’t ask for the money,’ Willat recalled, ‘but I figured he stole my wife, what the hell, I’ll take it.’ Rumours floated around town that Willat had ‘sold’ Dove to Hughes. What few doors remained open to Willat in Hollywood suddenly closed for good. 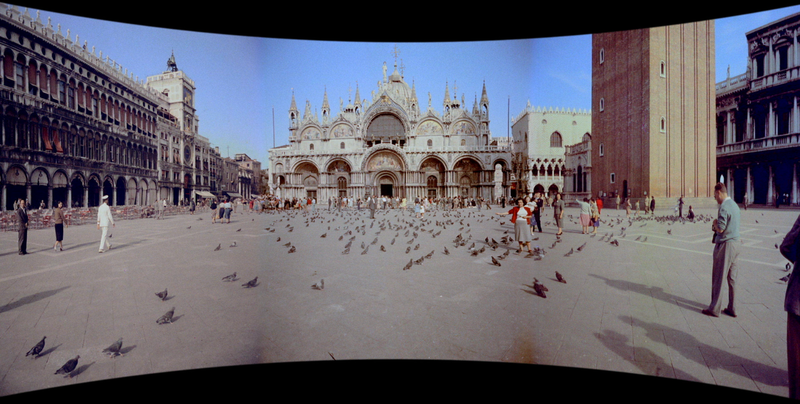 For Willat had been both architect and victim in his fall from grace as a leading director. 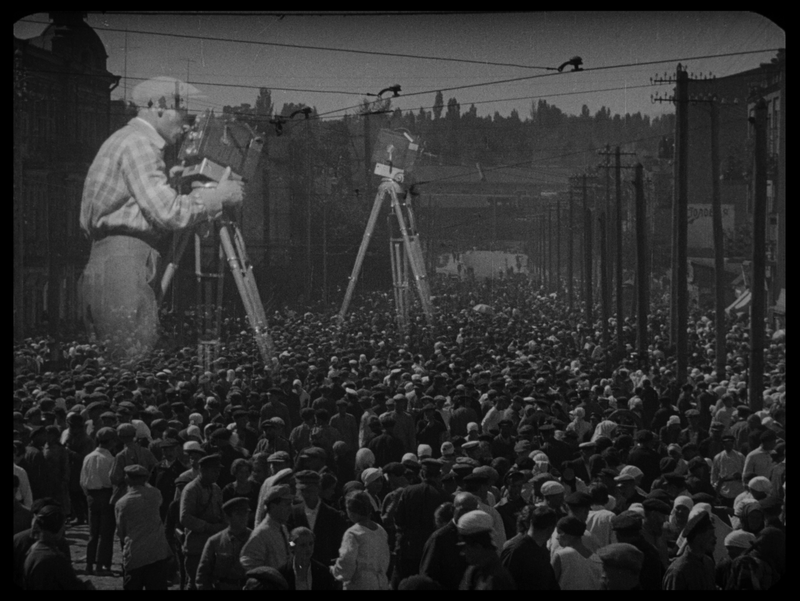 He quit Universal in 1928 when they cancelled production of The Big Guns, a World War I drama Willat was preparing. He was caught between the competing interests of brothers Jack and Harry Cohn and was fired from Columbia’s first ‘A’ picture, Submarine. He argued with Jack Warner over The Isle of Lost Ships, and in a particularly disastrous move he went to the South Seas in the early 1930s to produce a series of shorts with author Gouverneur Morris – only to come back to a Hollywood that had forsaken shorts in favour of double features. Willat directed three films for Monogram in 1937, did some second-unit work, and some freelance cam era work, but finally turned his back on the movies to pursue real estate and other business interests. The most telling story about Willat concerns his film Wanderer of the Wasteland, which featured his former wife in a prominent role. Kevin Brownlow, David Shepard and I had all asked Willat at one time or another whether he had prints of any of his pictures. He told us that he used to have a print of Wanderer, but that it had decomposed and he had thrown it away. Willat’s daughter remembered the day her father discovered that the film was an unsalvageable mass of jelly. He went upstairs to his bedroom and cried for three hours. He was not able to bring himself to throw the film away, however. After his death his son found the rotted film in a small vault Willat had in his back yard. This printed transcript of some of my conversations with Irvin Willat is compiled from two sessions which occurred at his Hollywood home on 9 June and 20 November 1971. I have made some silent editorial decisions in preparing this transcript, adding occasional bridging words and rearranging the sequence of the conversation to achieve a more chronological flow. I was still in college and was more enthusiastic than knowledgeable about silent film when I got to know Willat. Rereading the transcript of our conversations I am flabbergasted that I did not pursue certain lines of questioning, yet at the same time I am fascinated at Willat’s vivid and articulate memories. His personality jumps off the page – his passion for the movies, the observation of detail, the way he worked, his attitudes about people and events – and yes even one of his many anti-smoking tirades. The conversations were originally recorded for the American Film Institute Oral History Program under a grant from the Louis B. Mayer Foundation. Willat: I made a picture called Behind the Door (Ince-Paramount-Artcraft, 1919), in which we had endeavoured to bring back Hobart Bosworth, who had been a picture star – in fact, he probably made one of the first motion picture features. We had a magazine story by Gouverneur Morris – from McClure’s Magazine. Ince read it, liked it, and said, ‘Make it’. I read the script, and I didn’t like it – so I wrote a prologue and an epilogue – mainly to lengthen the story – and it’s the only picture I ever made what you might call ‘off the cuff.’ But Gouverneur Morris had so carefully written – so beautifully written the story, that I was able to work directly from the magazine story more or less – and we made the picture. By adding the prologue and epilogue, I didn’t have to drag out the story – I could make it as he had written it – short and effective. Well, when we finished it, it proved to be quite a successful picture, and Mr. Ince was exceedingly pleased, and he wanted me to make another one with Hobart Bosworth. So we dug around, and we came up with a story called Below the Surface (Ince-Paramount-Artcraft, 1920). 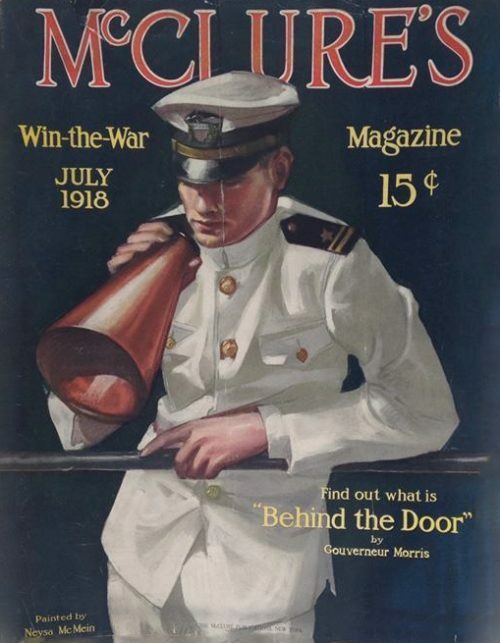 McClure’s Magazine, July 1918, featuring “Behind the Door” by Gouverneur Morris. Birchard: What was Bosworth like to work with? Willat: I had no trouble with him at all. Hobart was most humble. He was a capable man, and a little melodramatic, but it was easy to calm him down. Some of them you can’t. In that day, some of those fellows that came from the stage – oh, they wanted to really put it on. They didn’t realize that we had close-ups that could tell with the expression of the face, or a wink of an eye, or a frown what we were trying to say – and they had to put on a big gesture because they wanted the fellow up in the fourth balcony to know that they were angry – or whatever. It’s a different technique altogether. I didn’t have the stage experience, so I started from the bottom – just leaving it as people lived – and I found it worked. I made my melodramas in such a way that – while it was as melodramatic as I could make it – I tried to make it as human as possible so you’d believe it when you saw it – and that was my success (if I had any success in the motion picture business) it was the fact that my melodramas weren’t exaggerated and overplayed, and the public liked them. Birchard: Where did you go from Ince? Willat: I started with my brother, ‘Doc,’ to make pictures in our own studio on Washington Boulevard in Culver City. I don’t know whether you know it or not, but we had a depression. We made four pictures – good pictures – but they weren’t profitable because of the depression, and our releasing company, Hodkinson, failed. We closed, and I went to work for Paramount. Big mistake, I should have stayed with Tom Ince. But I didn’t want to hurt my brother, because he’d given up whatever he was doing to go into this. I’d much rather have been with Tom Ince, because he gave me all the privileges. There’s a little story that goes with that. My brother wanted me to go into business with him, because he had no business, and he had money. I had a very nice set-up with my good friend, Thomas H. Ince, and Tom Ince told me that if I would stay with him I could have half of the profits on the productions that I made. Well, that was tempting, because he had a business already going, known and successful. I think the Thomas H. Ince Company would still be operating had I taken that offer up, because I would have been right with him. As it is, when he died everything was sold. My brother put Tom in the business. My brother started more people – he didn’t know how to handle himself so well, but he could start more people, and he did. He started me, too, so I couldn’t very well refuse him. But it came just at a time when we had a depression – 1921, 1922, somewhere along in there – and the picture business just went flop. To show how things changed, in the 1929 depression the picture business just boomed because the people wanted something to distract them from their depression and they were getting it out of the theatre. So, I said all right and started a company with little or no money – comparatively nothing. We had to have a studio, and we asked ourselves: Where will we put the studio? We were living in Culver City then – the activities were all out there, and that was the most available land because Harry Culver was making it practical and economical for the picture people to come out there. He had two pieces of property – one was up on the hill, what they called ‘57’ – it was well off the road several blocks, and we could buy fifty acres there for $50,000. And, he had a piece right down on Washington Boulevard – a five acre piece – which we could buy for $50,000. Ten thousand an acre – one thousand an acre. My brother thought it was advisable to take the one thousand dollars an acre, but I was motion picture conscious. Land didn’t mean a thing to me. I mean I wasn’t concerned with it – so I told him that it was advisable that if we were going to have a studio, to have it on the street where they could see it. So, he decided then that we’d probably better take that one rather than the land back there. If we had taken the land up on the hill, neither he nor I would have had to work the rest of our lives because it turned out to be oil wells that are still pumping. We went down on the street, and we hit a panic, and we only made the four pictures that we were contracted to make, and then dissolved the company because it took more money than we could get – or did get. I went back to work as a director with Paramount; and, while I did all right, I would have been much richer – if one is measured by the wealth they have – if I had made the decision correctly, and taken the fifty acres up on the hill. 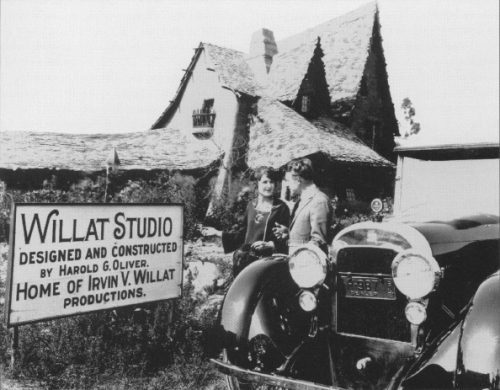 Birchard’s original caption: “Irvin Willat and Barbara Bedford admire the newly completed administration building for the short-lived Willat Studio.” The building is known today as The Witch’s House for its storybook look. So it went on, and they continued to have bumps – I would say they averaged one or two a day; and sometimes, of course, when there were a lot more people it became more so. So when we closed the studio down, it was put up for sale, and someone bought it – I think for $2,500 – and they moved it over on a lot in Beverly Hills, where it now is. However, the last people that took it over didn’t find the interior to be too practical for a home, so they spent a fortune rebuilding the whole interior to make it a beautiful home, and it now is. You can go in and see it – it’s lovely. What were the dressing rooms hanging on one end is now the kitchen and pantry and all that; and bedrooms upstairs. So they did a beautiful job, but it seems rather foolish. However, they were preserving some of old Los Angeles, I guess – it was historical by then.